Thanks to being a film & television student I have had to watch a great deal of short films in the past. Some are more out there while others (Read: Pixar’s) are some of the best cinematic pieces I’ve ever watched. Did you see Inside Out? Did you see the Lava thing with the volcanoes? Did you cry? The answer/my answer to all three is yes. Pixar kills it with short films constantly. Whilst poking around the interweb I stumbled across the following short. It is hilarious, thought provoking, and overall awesome. I’m going to watch this a couple more times to pick up on how really, really good this thing is. I highly suggest the same. Seeing as it’s short, I can’t really go into details without spoiling the entire thing, so just go for it. 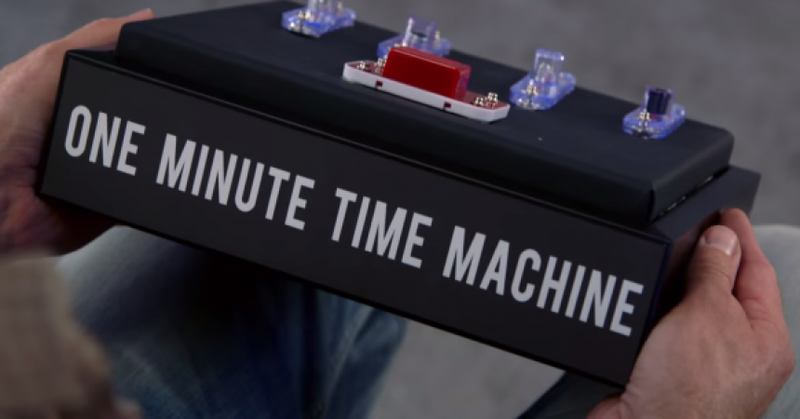 Here’s One-Minute Time Machine.